Six years ago, Chase Timberlake bought an engagement ring for his high school sweetheart Lori Reese. Then...life happened. Chase’s adventure photography career took off, Lori’s dream of getting into veterinary school came true, and their happily ever after never came to pass. 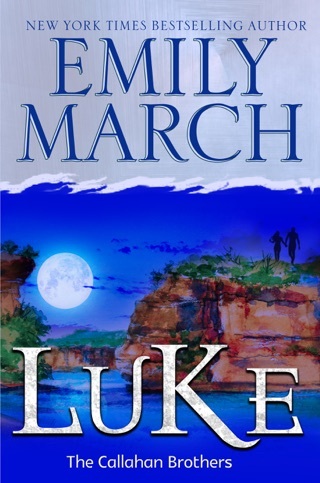 When Chase’s jet-setting life takes a tragic turn, he returns to Eternity Springs a damaged man. Who better to help mend his spirit than the woman who has dedicated her life to healing broken wings? 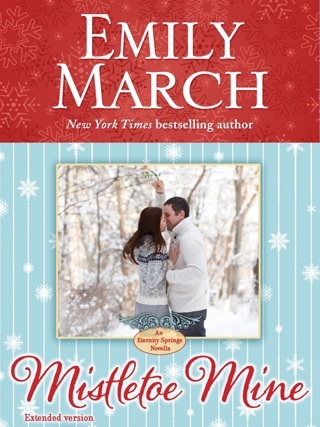 Long summer days spent together rekindles the love that never died and Chase dares to dream of a future he’d thought lost.But Lori can’t help but wonder whether this high-flying man really wants a small-town girl with roots sunk deep into the Colorado Rockies. Can she and Chase turn back the hands of time and pick up where they left off—and give forever a chance? 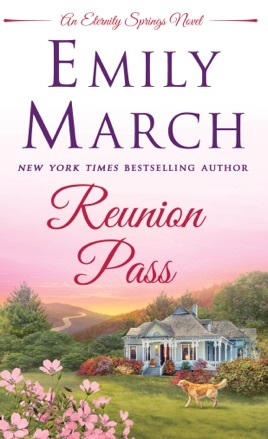 Reunion Pass is the eleventh installment in Emily March's acclaimed Eternity Springs series. It’s hard to resist a romance that perfectly captures the enduring pull of first love and the seductive idea of second chances. Lori and Chase started dating in high school, discovering that magical mix of friendship, lust, trust, and laughter. But in their 20s, the couple drift apart, reconnecting when Chase returns to their Colorado hometown with his celebrity fiancée in tow. If Reunion Pass is your first foray into the Eternity Springs series, you’re in luck. 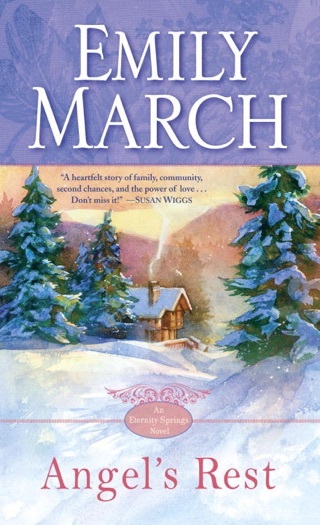 It’s a perfectly plotted small-town romance rich with family drama, mature emotion, and cozy optimism. In this emotionally gratifying but slightly rushed 11th volume of the contemporary Eternity Springs series (after Heartsong Cottage), two long-separated lovers find their way back to each other. 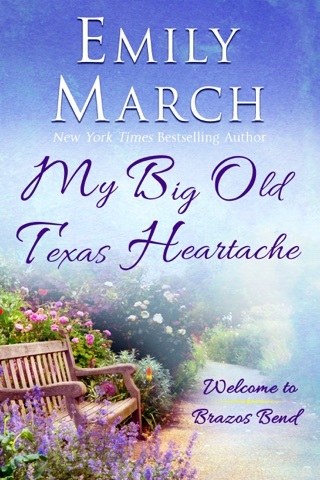 Veterinarian Lori Reese hasn't quite convinced herself that she's over her first love, daredevil photographer Chase Cameron, even though it's been years since their relationship slowly dissolved. Her hidden feelings turn to grief when she learns that Chase has gone missing in a dangerous part of the world. Lori and Chase's under-the-radar emotions for each other are tangible, as is Lori's fear and dread when Chase vanishes. When Chase's homecoming is marred by his obvious despair and self-imposed solitude, Lori knows that she must rise above her discomfort and help her friend. As always, the community of Eternity Springs, Colo., is a fortress of support, a motif that conjures up a wonderful sense of positivity and hope, though there are moments when the townspeople's inspirational kindness feels like a well-rehearsed speech. The characters' progress in resolving their individual issues feels hurried and artificial at times. 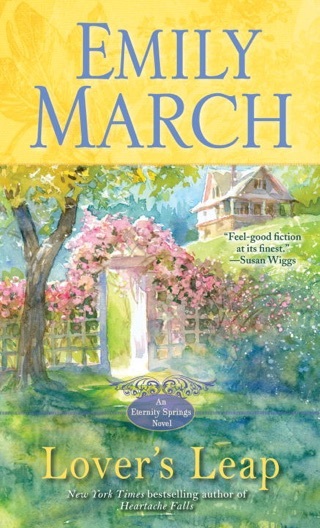 Still, March successfully spins an inspiring love story with plenty of faith and optimism. 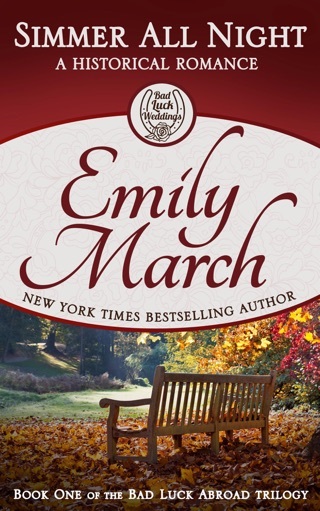 Reunion Pass by Emily March is the latest Eternity Springs story. This is the story many Eternity Springs readers has been waiting for; the story of Lori Reese Murphy and Chase Timberlake. Lori is the daughter of Sarah Reese and Cam Murphy while Chase is the son of Ali and Mac Timberlake. Lori started crushing on Chase while in high school and the two soon became a couple. When Lori went off to college in Texas, Chase often visited. However, Chase left his job as a white water rafting guide to become an adventure photographer. While pursuing his dream of traveling the world he met another woman who he worked with, leaving Lori behind without any closure to their relationship. While on a work assignment near terrorist countries Chase survives a horrific and tragic experience that affected his life. Upon returning to Eternity Springs Chase is a shell of a man. Suffering from PTSD and guilt he just wants to be left alone. Lori wants to help mend his broken spirit but as a friend. She leaves a deserted pup with Chase for foster care, to take care of the pup. Chase starts to befriend Lori and talk only to her. He begins a job teaching swimming to children attending the Rocking L, a camp for children who have suffered loss, created by Jack and Cat Davenport. Working with these kids not only helped them overcome their fears but assisted Chase in facing his. As Chase begins to heal he talked Lori into believing that they do belong together and they should rekindle their relationship. 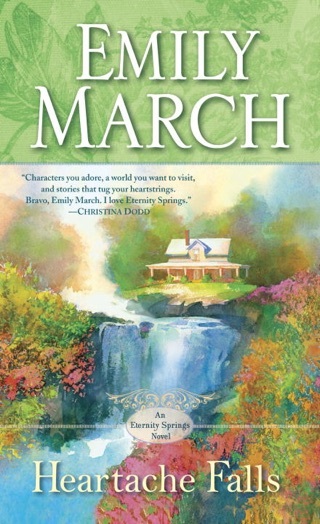 Ms. March does an excellent job developing the storyline that gives us the lives of Lori and Chase and their path toward following in love. I absolutely loved this book. It moves along very quickly and the story flows nicely. The characters are well written, with human frailty and emotion. I got so caught up in the story that I had trouble putting it down. 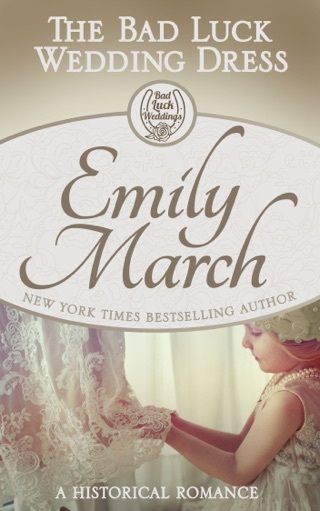 Emily March gets better and better. 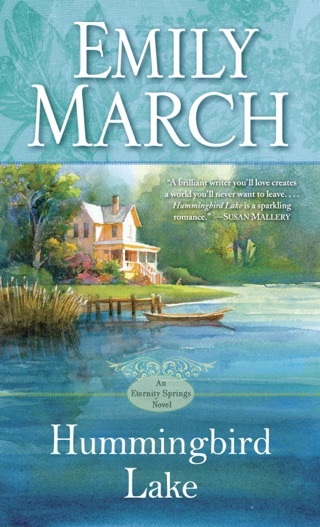 The Eternity Springs series is a favorite of mine to read. Great book!! Great read!! I couldn't put it down!! 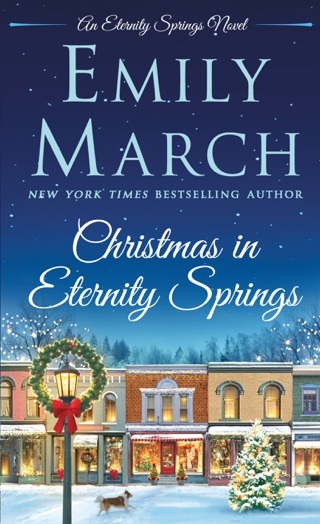 I love returning to Eternity Springs and have looked forward to reading Lori and Chase's story, since they were once an item in the past. Lori lives in Eternity Springs as a veterinarian. Chase's profession as a photographer has taken him all over the world. A tragic situation brought him back to Eternity Springs with deep emotional wounds. The author will grab your heart, make you laugh, make you cry, and make you want to help out and live amongst the citizens of Eternity Springs. Emily has a way with words that are deeply satisfying. I always jump for joy when Celeste Blessing shows up. She has always been a constant presence in all the books of this series and her wise words always lift you up. I highly recommend this book. I also found that it can be read as a stand alone. You will most likely go back to the other books in this series after you read this one.